UK action sports PR and creative agency All Conditions Media have re-thought the traditional media press day model with their new #ACMPopUp concept. 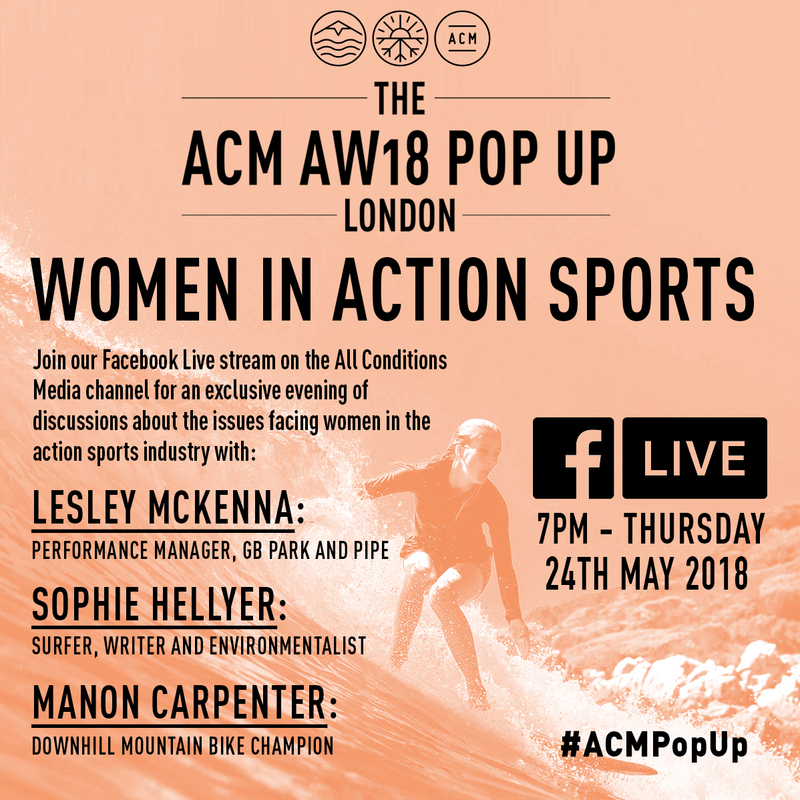 Alongside the tried and tested method of product showrooms, the Brighton-based outfit are launching their inaugural #ACMPopUp events; three days and two nights of exclusive activities and VIP events, culminating in two live discussions with key opinion leaders – Women in Action Sports and The Plastic Problem. Both discussions will be broadcast on live on ACM’s Facebook channel – follow them to be alerted when the discussion starts. From 22-24 May, the All Conditions Media team will be in London for a number of press days to network, discuss and seek to educate on a number of issues that directly affect the action sports industry. May 23 will focus on the epidemic of single-use plastic and how it is having an adverse impact on our planet. 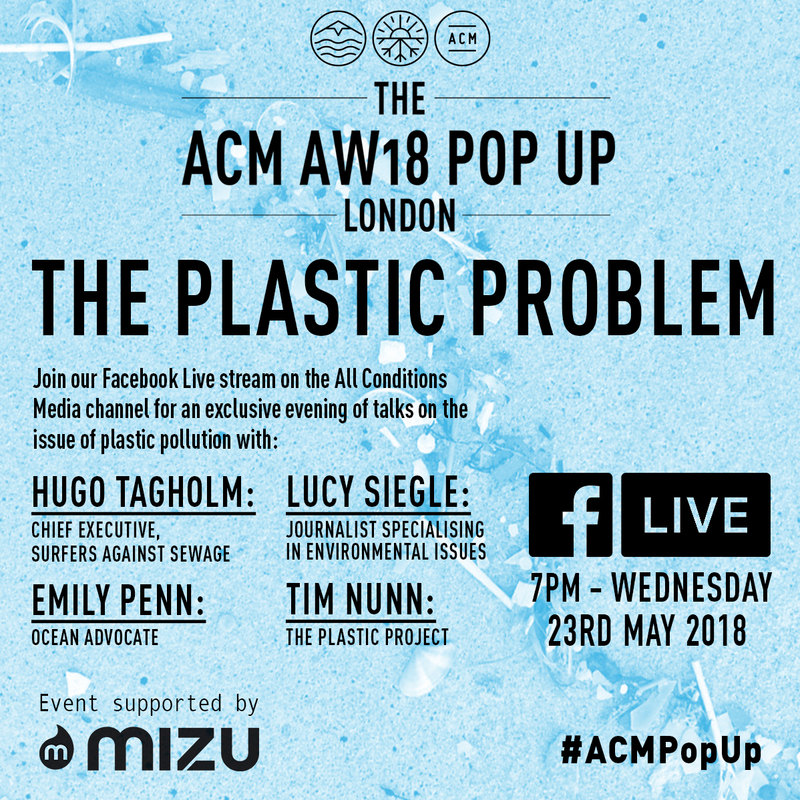 The ACM team are holding a discussion with key commentators on the issue; Hugo Tagholm from Surfers Against Sewage, Ocean advocate Emily Penn, environmental journalist Lucy Siegle and ‘The Plastic Project’s Tim Nunn. 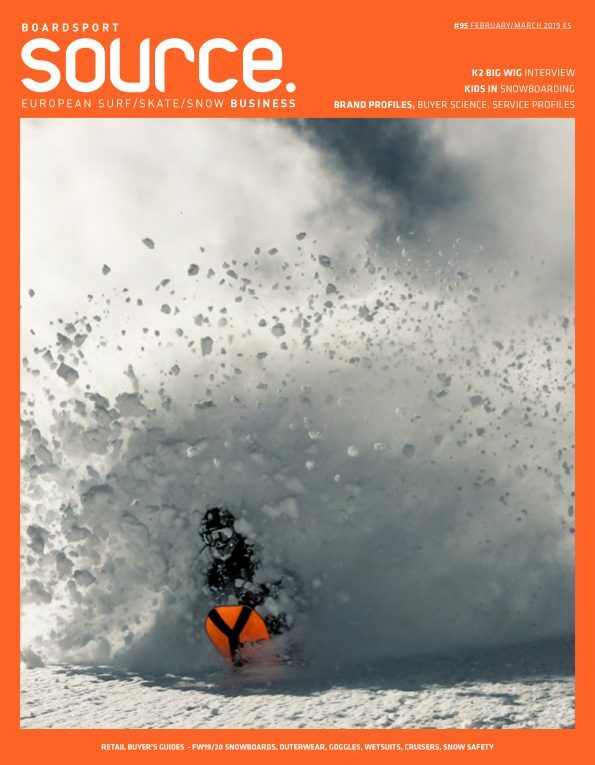 The next day the focus is on women in action sports with discussions about the issues facing women within the industry. Commentators included GB Park and Pipe Performance Manager Lesley McKenna, surfer and environmentalist Sophie Hellyer and Downhill Mountain Bike Champion Manon Carpenter. The three-day event will take place in London, but for those that can’t attend the event there will be a live streaming of each event on the ACM Facebook page from 7pm onwards.